A look at the St. Louis Cardinals baseball team from a GM perspective. So here we are….. the opening day of the major league baseball season is just about here. Fans have been watching for news and information on who and what will make up this team. Now we have a 25-man roster and a solid grasp on what is ahead of us. The big news came early and that may have exasperated some who were clamoring for more in January-February but the fact is the Cardinals added Paul Goldschmidt. He will be a fixture for at least 5 years in the lineup and the organization is expected to build around him. Some writers are already touting him as the National League MVP. Kolten Wong returns at second base and by all accounts, in Spring Training it is reported he is playing with a chip on his shoulder and a bounce in his step. He has the potential to be much improved. Think about the right side of the infield with two gold glovers manning it. This has plenty of upsides. Paul DeJong returns at shortstop and is a very non-descript type of player that just hits home runs and a few extra base hits. He is not a strong hitting for average type player. On the field, he may not have tons of range in the hole but he fields most balls hit his way. At third base, I am a bit worrisome with Matt Carpenter now the everyday guy at the hot corner. His defense is a bot suspect with a weird arm angle every time he throws. It is his ability to get hot at the plate and smack extra-base hits that makes him valuable. Playing from the bench we find Yairo Munoz and Drew Robinson coming off the bench. Many believe Robinson is going to be the future in the infield but not likely at third base with several sluggers in the lower levels making the rise. Munoz was up last year and had a decent season backing up the infield and got some opportunities in the outfield. In the outfield, we find Dexter Fowler being the right field starter on opening day and he had a bad season last year. He will be given several chances to amend that in 2019. His later part of Spring Training gave the organization some hope. Harrison Bader is fun to watch in the outfield with his speed and ability to get to balls in the gap. He will be an almost everyday player even though many worry about hitting for average. The defense will keep him there for a long time. Marcell Ozuna is hoping to have a better second season at the plate for the Cardinals. He came on near the end of the Spring Training and gave some hope. He can catch balls hit to him but his arm is suspect and will be tested often by the opponents. Tyler O’Neill and Jose Martinez will be the primary backups in the outfield. Tyler is a power bat with a decent arm and a slightly average range. He will get many at-bats from the bench. Martinez is a hitter through and through. He hits for average and will use all fields. His defense may be labeled as under average. His success could tie closely to the success or failure o the Cardinals. Yadi is back, That is all I need to say. His primary backup is Matt Wieters who is a few seasons removed from his All-Star years. He is decent at the plate as a switch hitter and does a good job calling pitchers. That are the non-pitchers from the Cardinals team. There is more optimism this year due to the upgrade from the bench. Let’s play ball! Over the years we posted a ton of Cardinals history here at CGM. We are now proud to say that we have launched a partner website called "History of Cardinals" over at HistoryOfCardinals.com that we consider the best STL Cardinals history site on the internet. It has year by year history along with a "today in Cardinals history" feature for every single day of the year. If you are a Cardinals history buff -- check out our partner site here. Cardinals GM is a proud member of the United Cardinal Bloggers group. Click here to visit the UCB. Cardinals GM is a proud member of the Baseball Bloggers Alliance. 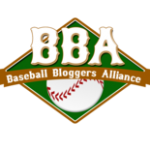 Click here to learn more about the Baseball Bloggers Alliance.